Keith Donoghue enjoyed a memorable comeback ride at Downpatrick on Friday evening when he partnered the Gordon Elliott-trained Dorans River to victory in the opening maiden hurdle. Donoghue, who rode Supreme Novices' Hurdle winner Labaik to success at Punchestown last October, was was forced to take a break from race-riding in March owing to issues with his weight, his most recent winner before Friday being Clontarf at Fairyhouse on January 25. 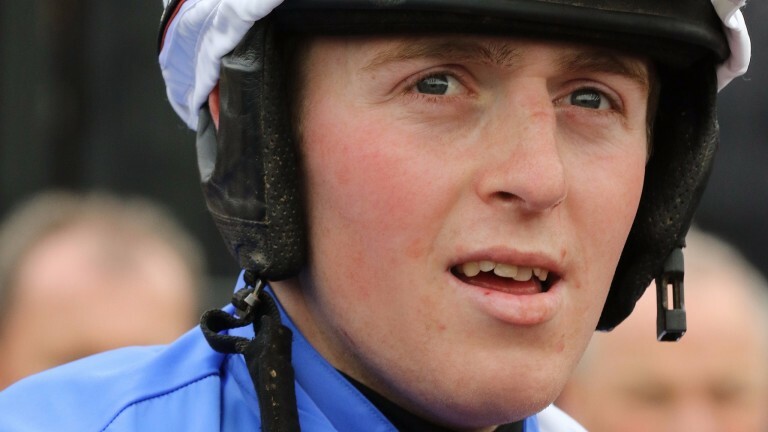 After scoring on Dorans River, Donoghue said: "It's really nice to come back with a winner. "It's been a struggle for me weight-wise. When I took a break my weight went up to 12st 10lb, but I've worked at it and I have it back down to around 11st 7lb now. "The plan is to try to stick to that weight and see what happens. There are plenty of opportunities riding horses at around that weight for Gordon in maiden hurdles and beginners' chases, and I'm happy enough to be able to do that."